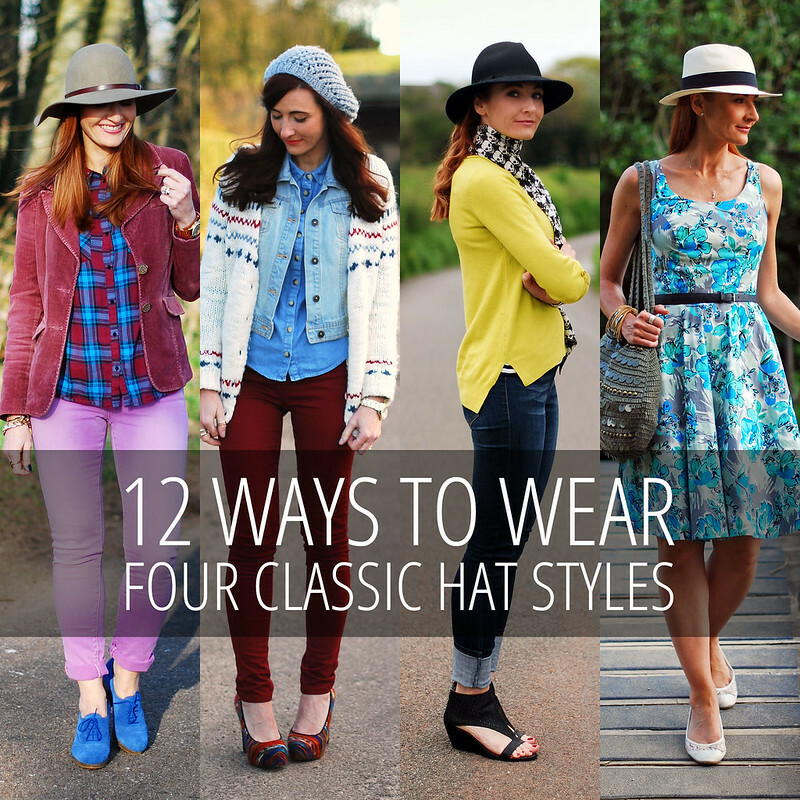 Regular readers I’m sure will know that I’m a huge fan of hats, so a post featuring ideas on ways to wear classic hat styles was probably long overdue. I wear just about every hat style going, but I’ve chosen what I think are the four most wearable (and classic) styles: the fedora, the Panama, the beanie and the floppy hat. There are several more styles I couldn’t leave out so I’ve thrown some more in at the end (I simply can’t manage without a lot of choice). 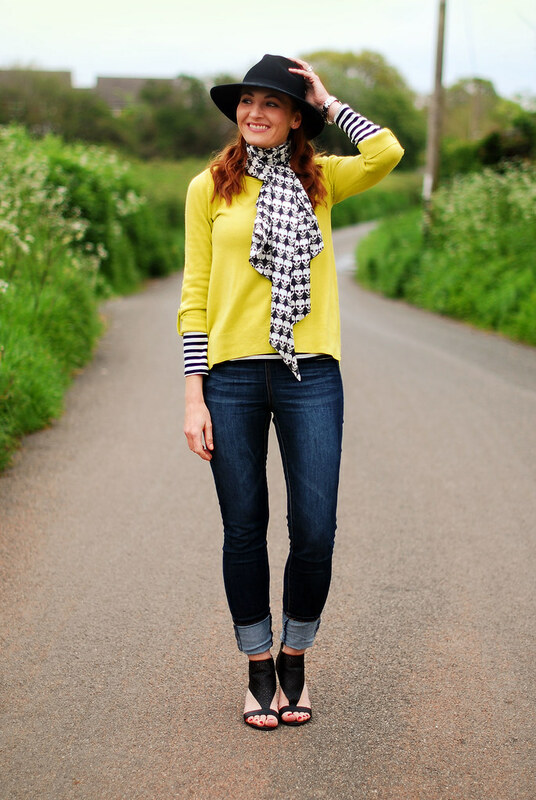 If you’ve always wanted to wear hats more but weren’t sure what to wear them with, then I hope you’ll find a little inspiration here (as well as the courage to don a titfer or two now and then). Interesting fact: my dad always used to say that I should have been a “hat model”. Not quite sure that there is such a thing(! ), but he meant that there wasn’t a hat style that didn’t suit me. I’ve yet to find one, I must admit 😉 SO – Are you a fan of hats – and if you are, what’s your favourite style? Do share in the comments! The classic black felt fedora can be worn with just about anything, especially in the colder months. An absolute must-have style for winter. The Panama hat is the summer version of the felt fedora: in white it will see you all through the summer, being both practical and adding a touch of the modern classic. What probably started as a skull cap has turned into a floppier, often looser knit style in recent years. If anything they simply keep your head warm in the winter. RELATED If You Became a Celebrity Overnight, Would You Get a Stylist? A 1970s style classic. They’ve been popular again for a few years now and add a touch of the hippy to your outfits – they work in every season throughout the year. 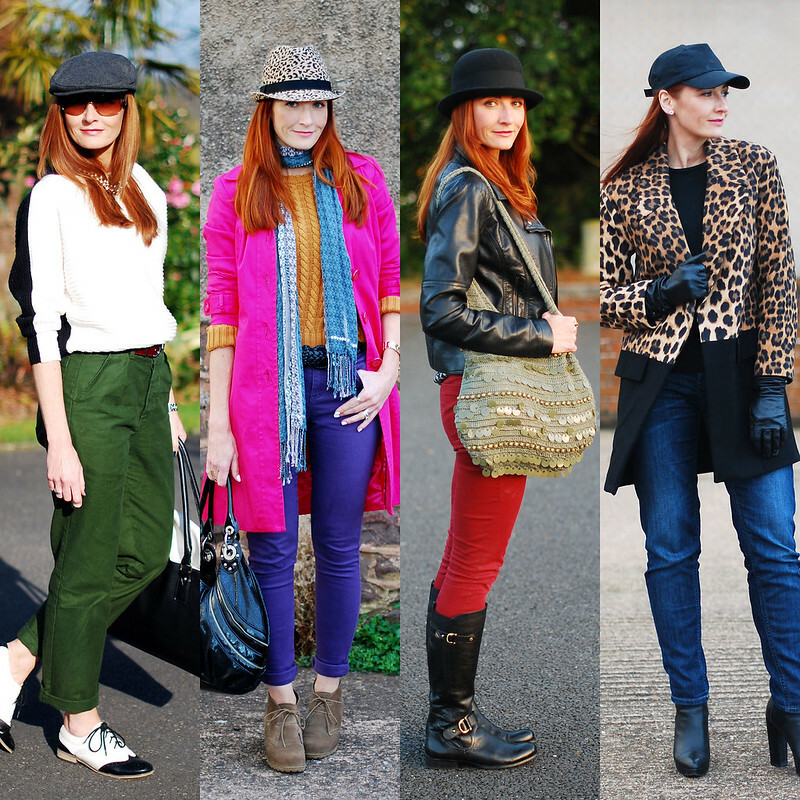 The flat cap, trilby, bowler hat and baseball cap. My wardrobe wouldn’t be complete without them. P.S. Like this post? You might enjoy the rest of my Ways to Wear series! A top hat changes your face so much more than any other garment"
you luk awesome with Floppy hat. really nice collections of sun hat. Somehow hats and I don't seem to agree. Sigh. Such a shame. Especially the fedora hat has my love. Tried them in numerous shops. They just do not look good on me. And…. they ruin my hair. Still love that outfit (and cap) of you at the bottom right. So good. I think the kind of hair you have has a lot to do with it, Greetje – when I was thinking of chopping mine off into a bob my hairdresser asked if I wore hats, which of course I do… she said a lot of hat styles look funny if your hair is too short. So – I still have long hair!! Btw, I just started following your blog, and as my 40th birthday approaches… I see your story and I read your posts and it is really inspiring! Thank you! I feel much better approaching that birthday (this March!) I look forward to reading more from you! Awww Marjorie thank you thank you! Though I bet there's at least ONE style that suits you. Some people just don't feel right wearing them and I think it comes across in your hattitude (hehe see what I did there?!!!) that's all. Hi Monica – nice to meet you, and thank you so much for such a sweet comment!! It's no problem asking… the best site to interact with other bloggers is Sylvia's 40+ Style: Sylvia’s 40+ bloggers community. She has an actual forum as well as the comprehensive list of 40+ bloggers (so get yourself on there)! Finally check out my posts for features about over 40 bloggers! Lots of great bloggers to connect to and make friends with… I always maintain it's being part of the 40+ community that's made me enjoy blogging so much. I really feel like I'm "part of the gang" – albeit a really lovely, friendly one…! Doh! I've just realised you're izzywizz on Instagram… my bad!! Boy, it is hard to choose a favorite. I love hats, I particulary like the beanie, panama ( and the dress) and the black hat. You look great in all of them! 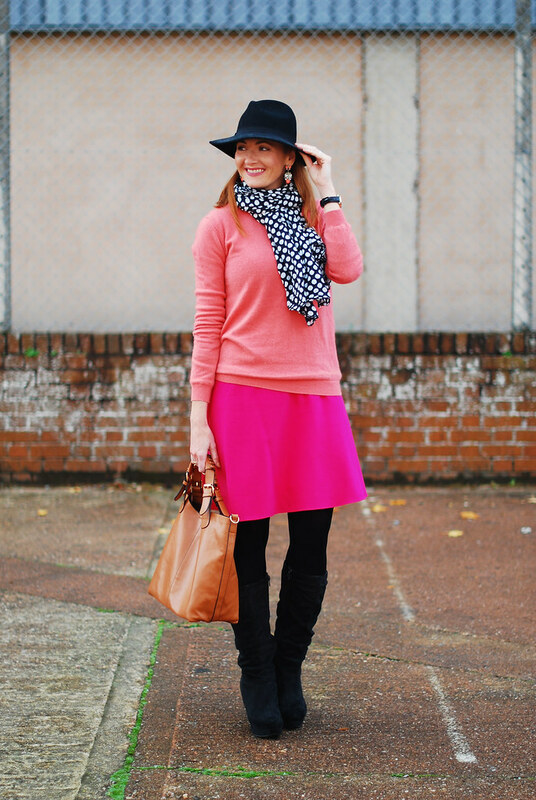 I just love hats and wear one nearly every day from Fedoras to berets. Sounds like you're a girl after my own heart, Josephine!! I love all these hats, you look so good. Catherine – you look great in all of these different type of hats. I am a huge fan of hats too but just don't have enough opportunities to wear them but on the weekends. Wardrobe essentials! 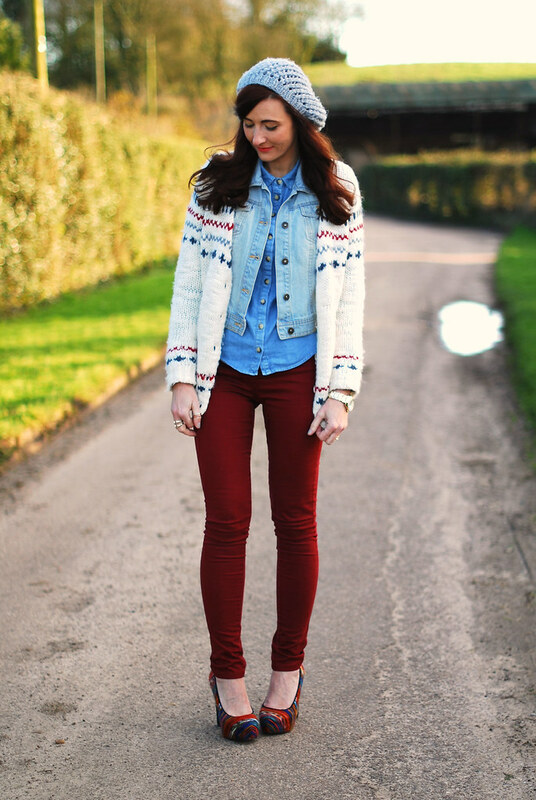 The perfect finishing touches too an outfit!